Minister of Petroleum and Mineral Resources Tarek al-Mulla said that the first international bid for exploration in the Red Sea is scheduled to be announced before the end of 2018. Mulla explained during his speech at the second Al-Ahram Energy Conference on Monday that the geo-reserve database on natural resources in the Red Sea was completed in preparation for the bidding. “Egypt faced many international arbitration issues after the January 25 revolution, 99 percent of which have now been settled,” he said. Mulla added that the oil sector has seen a lot of success in the period between 2014 and 2018, as 63 new oil agreements with investments of about US $14 billion have been signed, the two largest projects on collecting geophysical data on the Red Sea and southern Egypt have been conducted and debts to foreign companies have been reduced to less than a third to reach $2.1 billion by the end of June 2018; the lowest value since 2010. During the same period, 24 projects had been established for the development of gas fields, including the Noras, Northern Alexandria, Atoll, and Zohr fields, which contributed to increasing natural gas production by 60 percent compared to 2015/2016. 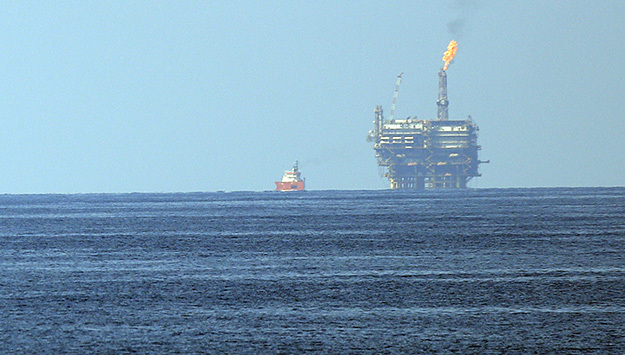 The four fields also contributed to achieving Egypt’s self-sufficiency in natural gas by the end of September 2018. According to Mulla the efficiency of refineries has been upgraded, infrastructure projects have been expanded and three projects with a total investment of $4 billion were implemented in the field of petrochemicals, adding that four other projects are planned within the next four years. Between 2014 and 2018, natural gas was supplied to 1.6 million units, a comprehensive reform program for energy subsidies and rationalization of consumption was implemented, along with a program for the development of human resources in the oil sector, Mulla said. The minister said that a government committee has been formed to study the transformation of Egypt into a regional energy center, in addition to preparing a law to regulate the gas market and to allow the private sector to compete within the Egyptian gas market. Mulla stressed that Egypt has all the factors required to turn it into a regional energy center including liquefaction stations, a network of pipelines, refineries, storage depots, transport, and ports overlooking the Mediterranean and Red Seas.